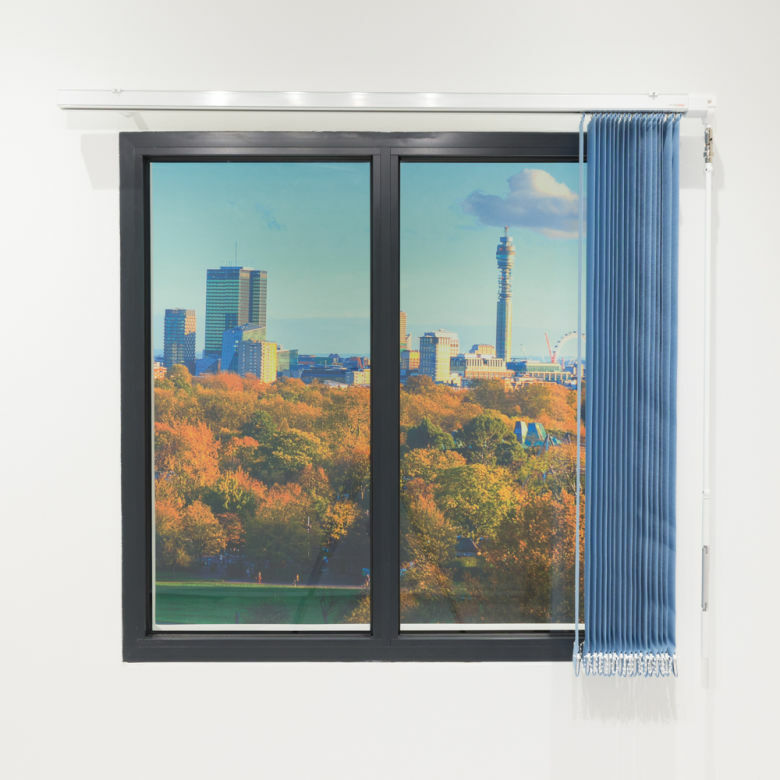 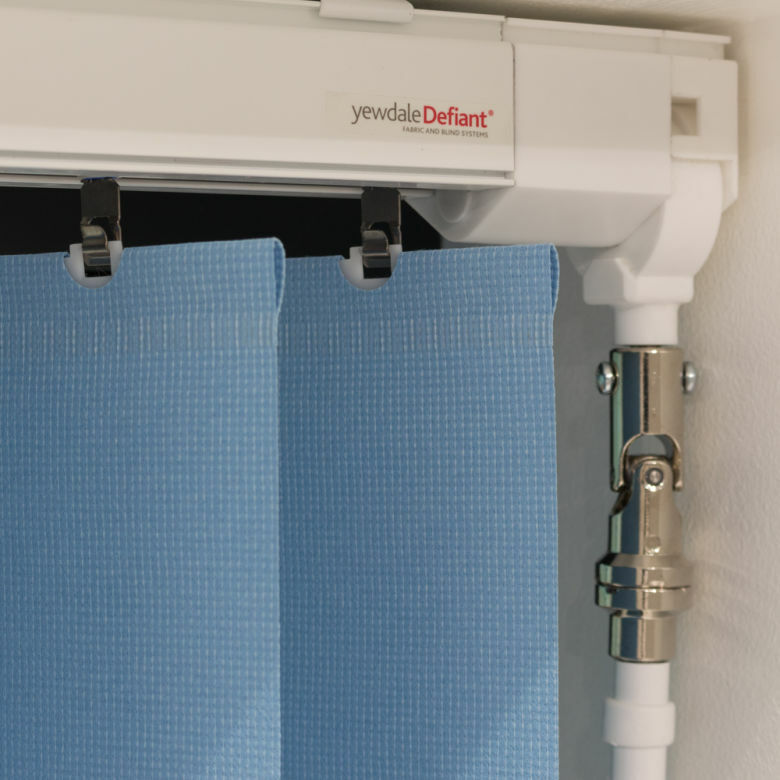 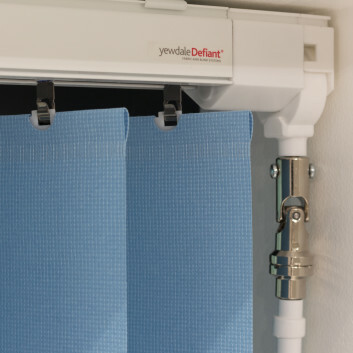 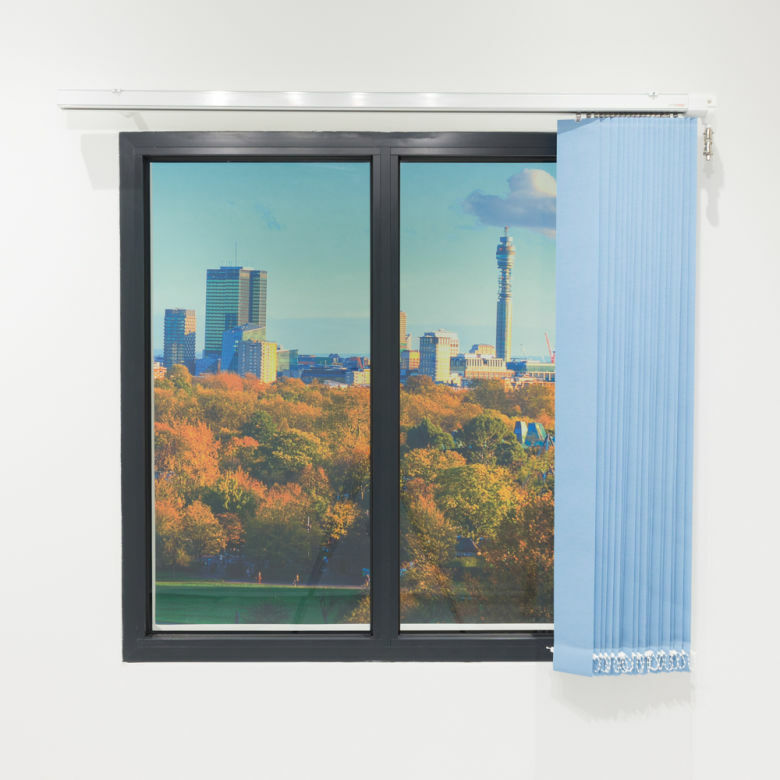 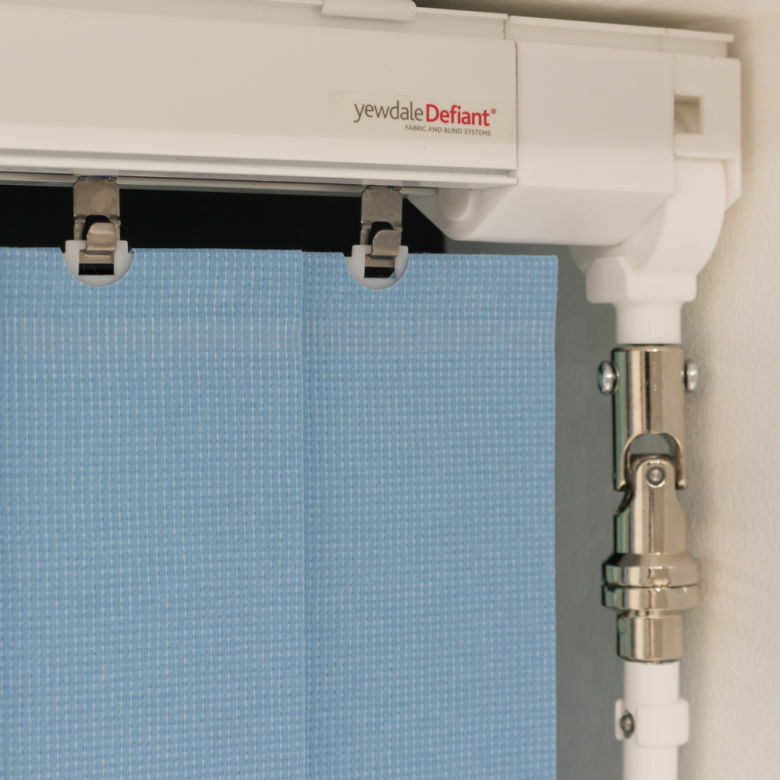 The YewdaleDefiant® VL64 vertical blind has a 45 x 36.5mm white aluminium head-rail with top-fix brackets and wheeled carrier trucks. 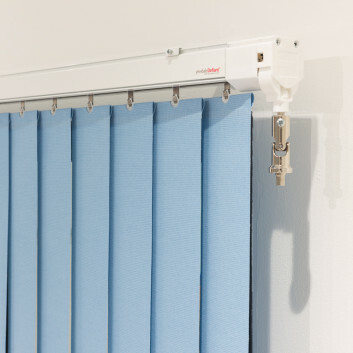 The constant transport of the louvres is guaranteed by a precise aluminium spindle shaft. 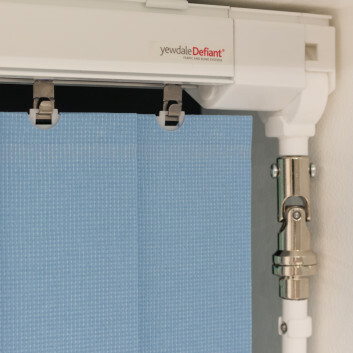 The fixed crank is operated with built in slip clutch for both louvre tilt and draw. 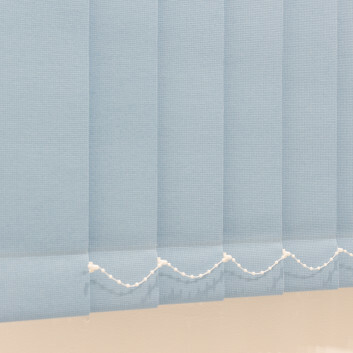 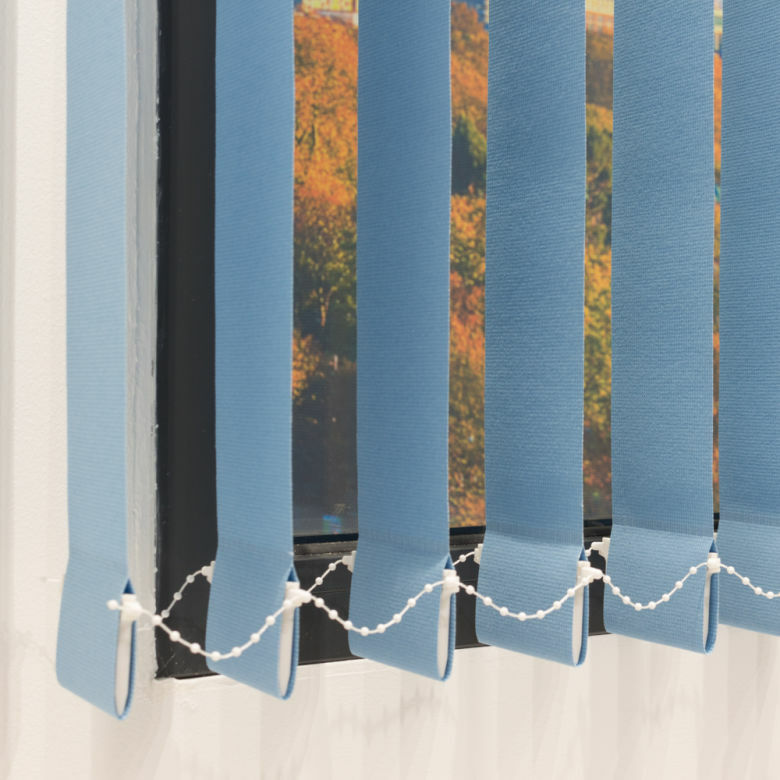 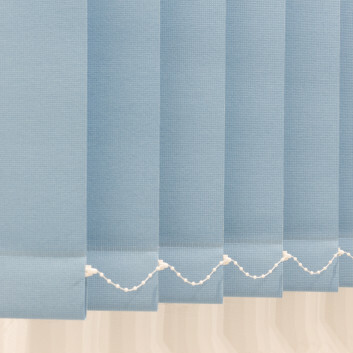 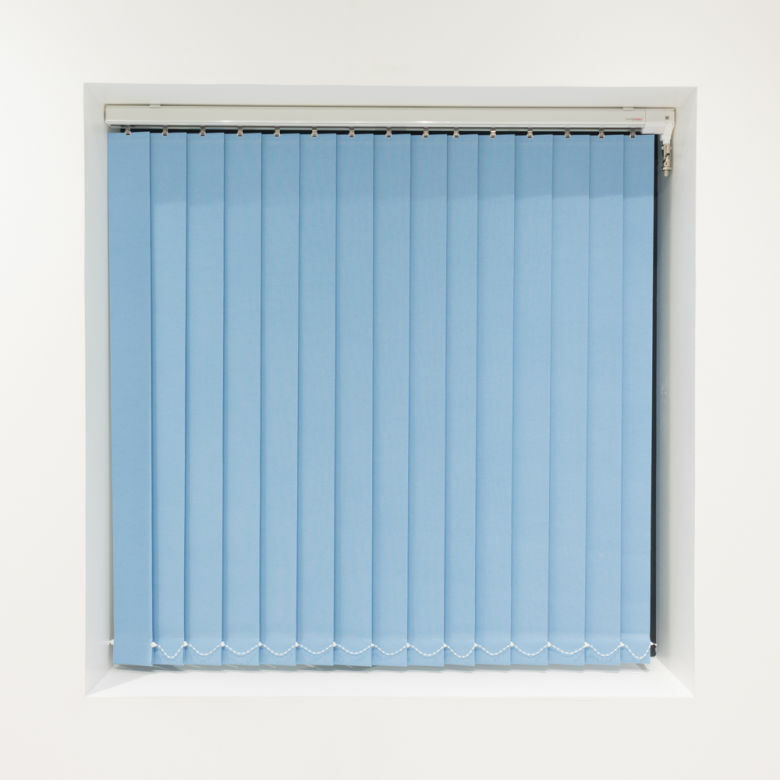 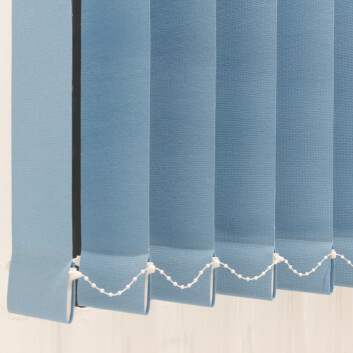 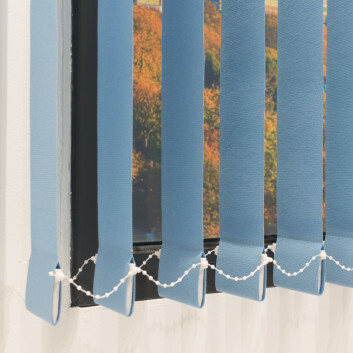 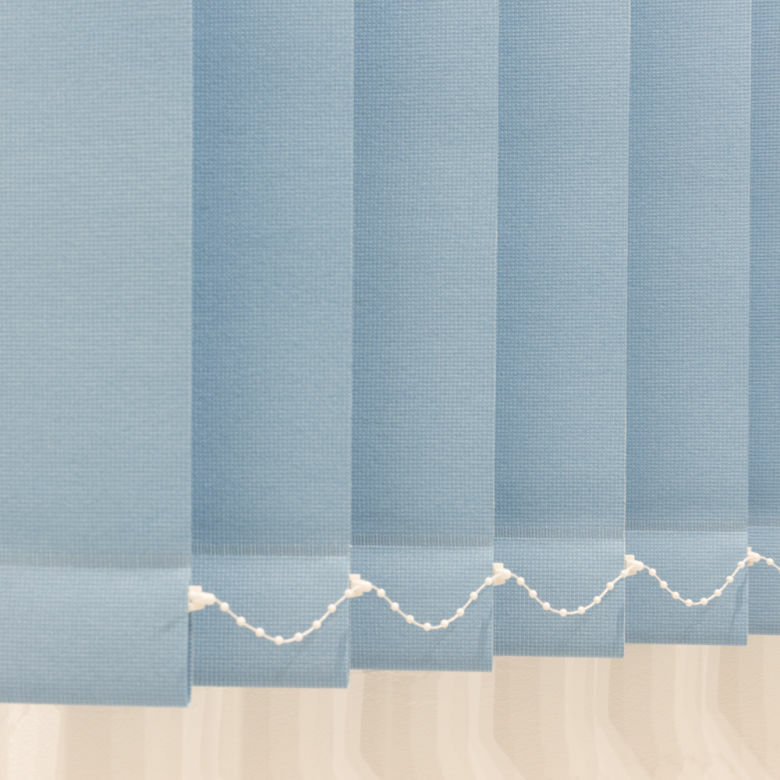 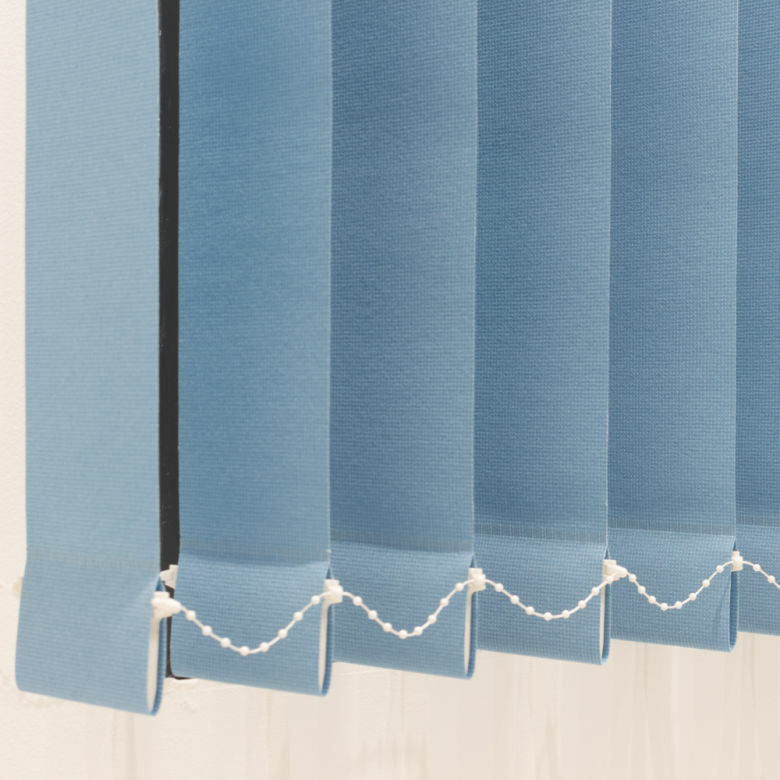 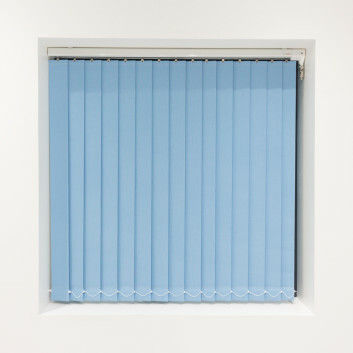 Louvres are supplied in 127mm, and 89mm widths with weights and white stabilising chain. 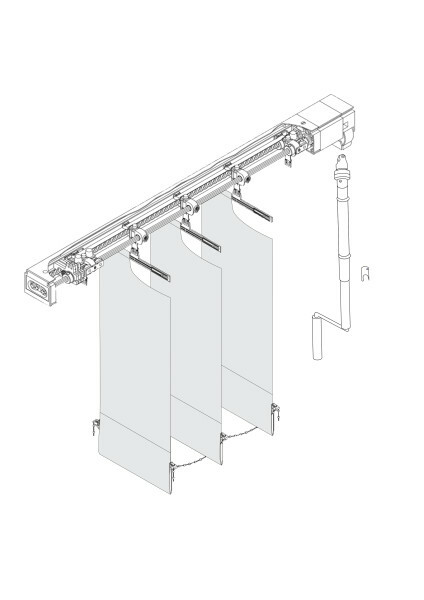 VL64S sloping head-rail versions; Face fix brackets; Extension brackets; Enclosed weights; Detachable crank. 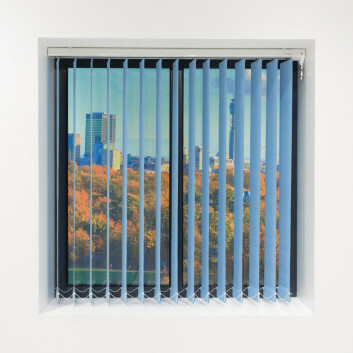 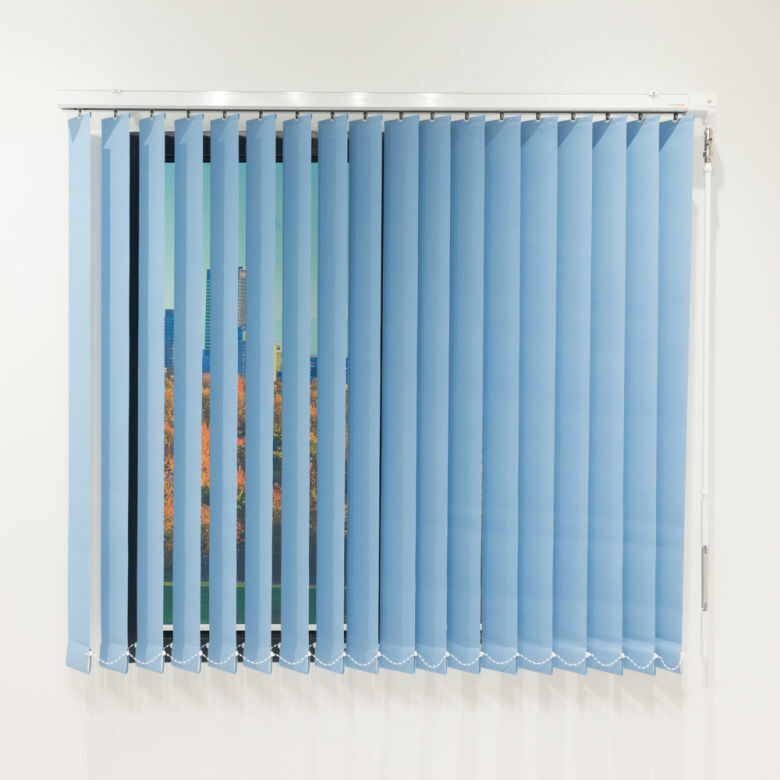 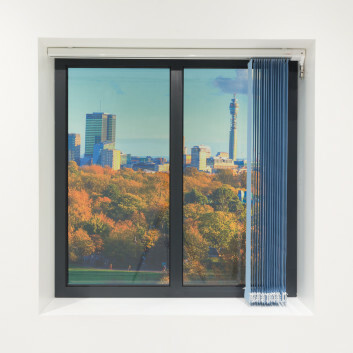 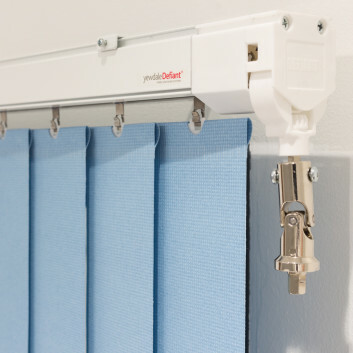 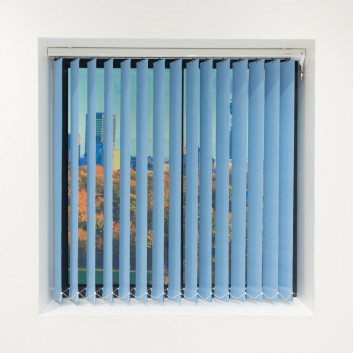 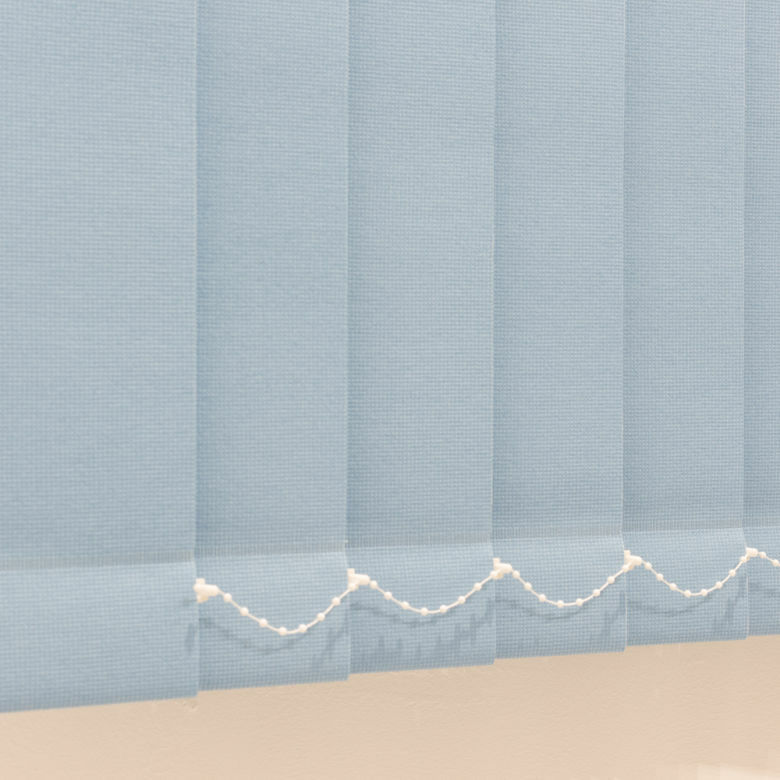 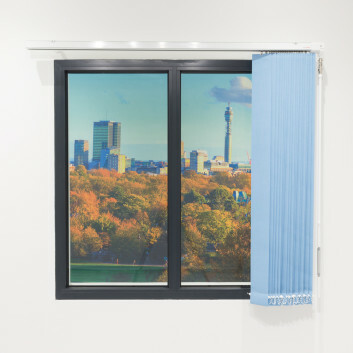 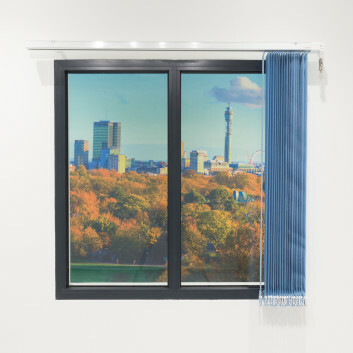 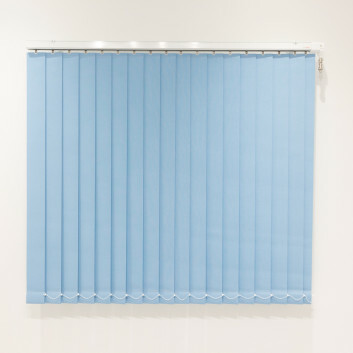 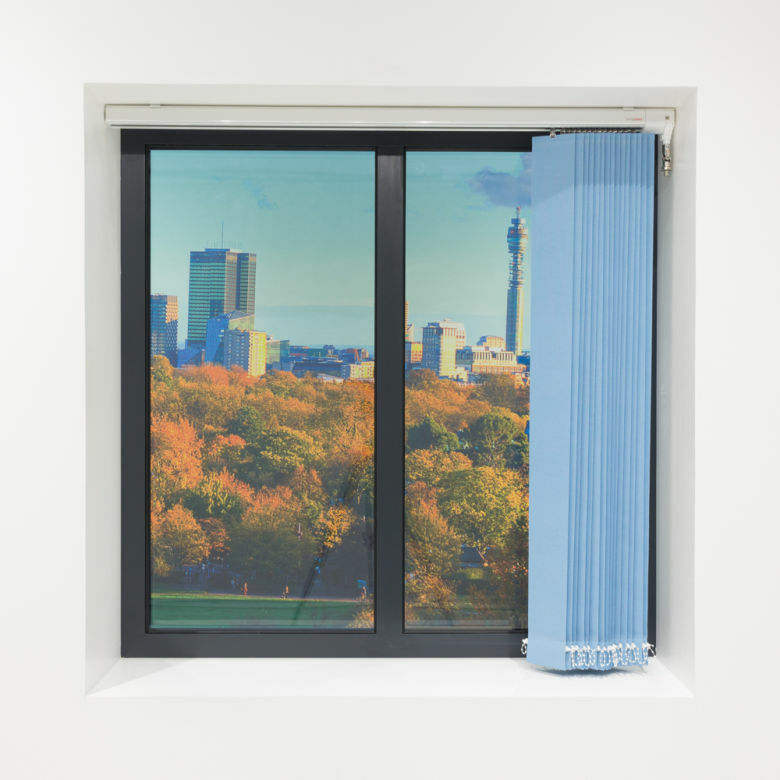 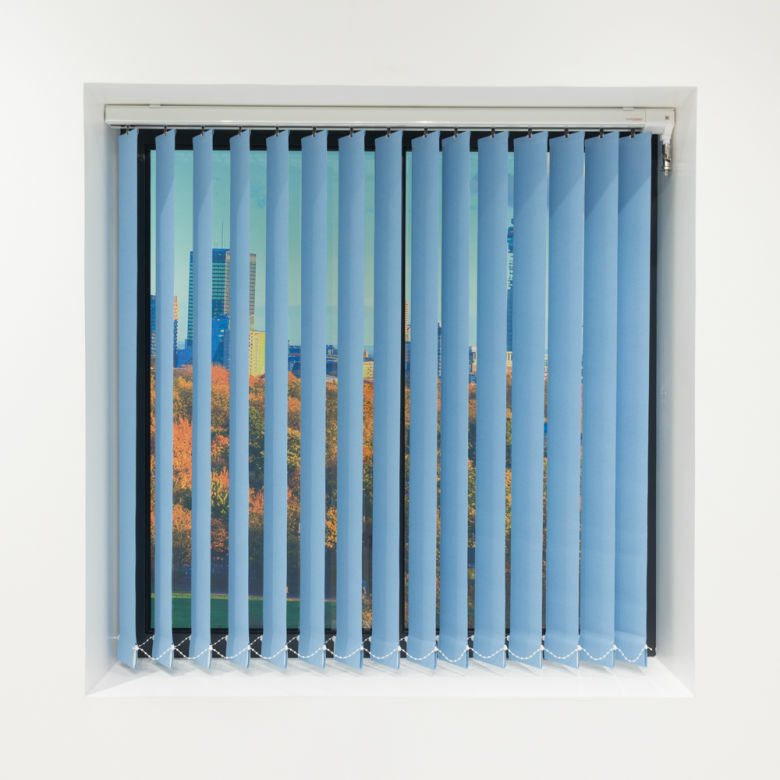 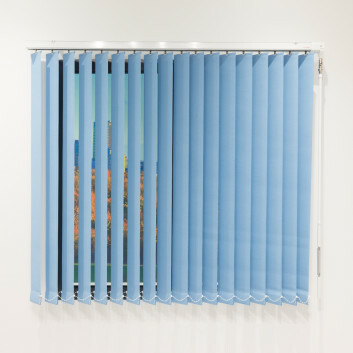 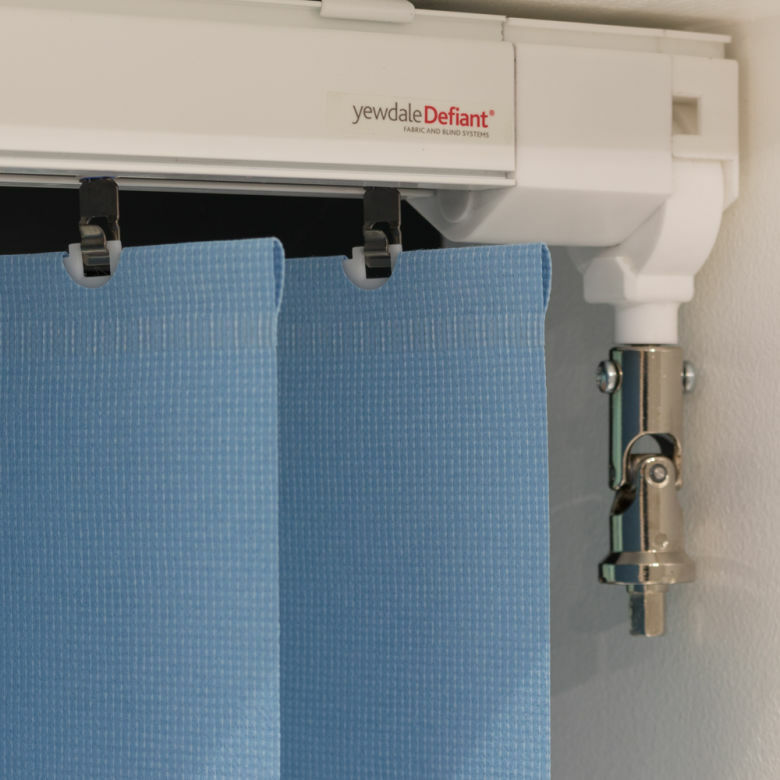 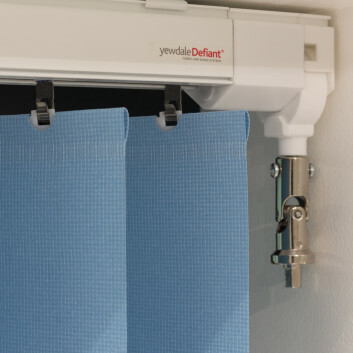 The YewdaleDefiant® VL64 mono vertical blind with crank operation as manufactured by Yewdale, +44 (0)1268 570900. 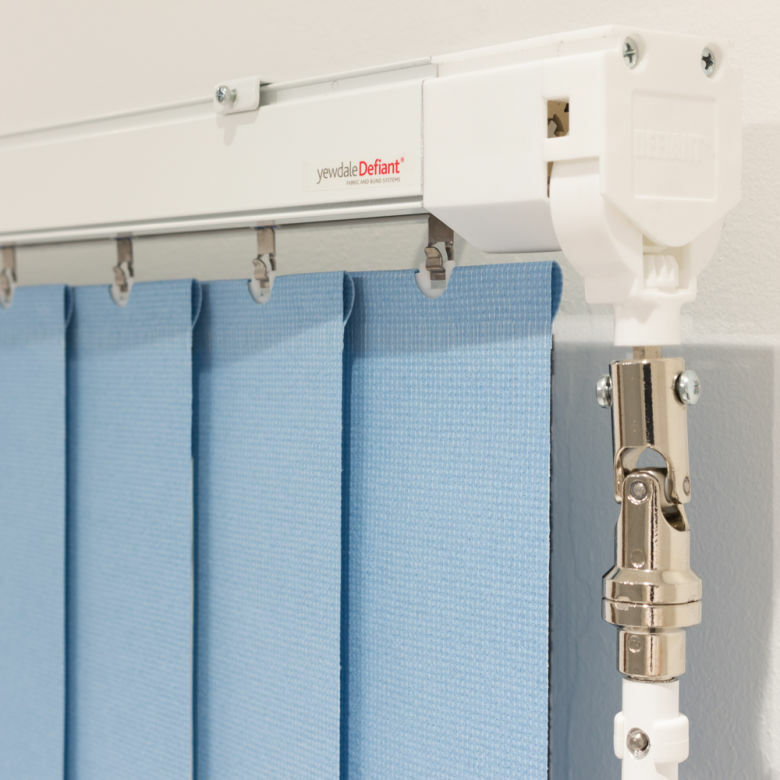 45 x 36.5mm white powder-coated aluminium head-rail with mono control by crank handle. 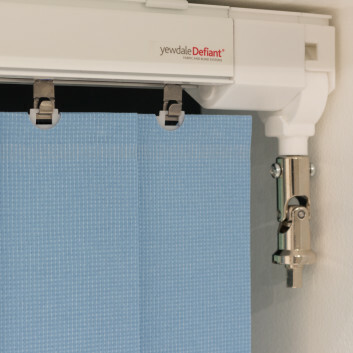 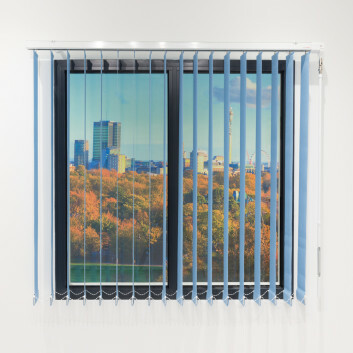 127/ 89mm louvres in flame-retardant fabric from the YewdaleDefiant® range, complete with louvre weights and white stabilising chain.